Love them or loathe them (and today’s opponents attract strong emotions of both kinds!) welcoming Millwall to St James’ Park tonight is the nearest to a guarantee of a tough, competitive game as you could possibly get – in this or any other division. One of the few lower division sides to have made an appearance in top-level European competition, thanks to an FA Cup final appearance a few years ago, the Lions’ 2004 UEFA Cup dream ended disappointingly against Ferencvaros, losing 4-2 on aggregate in Budapest. At that time Millwall were in the Championship and seeking to recapture some of their past football glory, which has sadly been mired in an altogether less desirable reputation based on the unseemly behaviour of some who have attached themselves to the south-east London side. Now they are one of several illustrious teams seeking an escape route from League One, and they sit just on the edge of the play-off zone in seventh place. This means Millwall will be determined to take more points off Exeter City this evening, just as the Grecians will be keen to build on the good results and performances of the past few weeks. Among the Lions’ achievements already this term is a 2-1 victory over title favourites Leeds United: a real declaration of intent for their continuing 2009-10 campaign. That said, Brentford, who we beat at home recently, managed a 2-2 draw with them, and City will be trying their best to go one better. Though for a brief time I used to live on the edge of Bermondsey, I cannot recall ever making it to a game at the Den, or to Millwall’s new ground. But you certainly used to hear a lot about them in the area! The word ‘controversy’ has rarely been absent in their recent history. In the 24/7 media environment, what happens in the span of 90 minutes is only a fraction of the time the modern game occupies in the public consciousness. Indeed, a millisecond of action on the pitch can produce hours or even days of coverage. That is definitely the case with Thierry Henry’s blatant handball last week, which saw the Republic of Ireland undeservedly denied the opportunity of penalties against France for the possibility of a place in the 2010 World Cup Finals in South Africa. Usually “the luck of the Irish” is something you would happily wish upon your favoured side, but there will not be many Exeter City supporters craving it right now after what transpired on Thursday night. By the time you read this, FIFA will presumably have had a chance to respond to all the fuss, but no one is predicting especially bold action. Just as it is unfair to judge Millwall entirely on the behaviour of a minority of their fans, it would be very sad indeed if the skill, ingenuity and inspiration demonstrated by Thierry Henry over the years was to be besmirched by just one mad moment. It is therefore in his interest, as well as the game’s, that he is suitably punished. My own view is that he should be banned from the group stage of the World Cup. Regrettable as it is in the circumstances, I can see why the world footballing authorities would not accede to a replay request based on a refereeing error. That would very likely open the (legal) floodgates. But where a misdemeanour of this seriousness has been clearly identified by the cameras, strong post-match redress is essential if the genuine attempts to re-instil fair play at every level of the game are going to be taken seriously. What the France-Ireland incident also illustrates is that the to-and-fro debate about the use of technology in the top echelons of the game is out of touch with reality. The issue is not whether technology should play a role in sorting out on-field misdemeanours and controversial decisions – it is already playing a role. The real question is how to respond to that fact. Even if FIFA continues to insist that regulating matches should remain firmly in the domain of officials for the 90 minutes (to avoid extensive disruptions, and out of regard for the evenness of the game at all levels, low to high), the truth is that they cannot – and do not – ignore television evidence afterwards. If players knew that there would be really serious consequences for being caught out ‘after the fact’, not just a quick ban, fine or proverbial rap around the knuckles, it would hopefully contribute to more discretion and honesty on-field. That’s certainly what we all want to see in Exeter this evening, together with another positive outcome for the Grecians and en enjoyable night for both sets of fans. We all laughed. But I know how he feels. It’s patently ridiculous to suppose that the incidentals of your life and thought have any effect on your football club’s fortunes, but even the least spooky among us end up entertaining these slightly deranged notions from time-to-time! In a weird way, therefore, a bit of me (the bit that’s had one too many gulps of Dutch courage, maybe!) thinks that there could be an upside to Sons’ otherwise disappointing outing at Cowdenbeath last Saturday. Namely, there’s no growing ‘unbeaten record’ for us all to get anxious about losing against Peterhead this afternoon. Instead, it’s a case of picking up momentum again in front of the home support. Each Saturday I eagerly wait for news of how the Sons are getting on, knowing that the rest of the weekend is liable to be just that bit brighter or gloomier depending upon how things turned out in the all important 90 minutes. Sad, isn’t? But that’s what being a fan is all about. Today I care just that wee bit more than usual, because I’m in the stand here at SHS myself. A work-related trip to Newcastle on Friday has happily given me the chance to make another visit from deep down south to the lush pastures of the Rock. Now I don’t wish to sound, well, superstitious… but last season I inadvertently did rather well at picking out for personal attendance the odd few games when Dumbarton’s championship form was being most sorely tested. I also came up for the pre-season friendlies against Partick Thistle and St Mirren, when we shipped five goals and got none. But before you decide to bar me from the ground altogether, I should point out in my defence that I was also present (and cheering like mad) at those historic matches against Elgin and Annan when the Sons triumphantly claimed the Third Division title and scored a hatful into the bargain. Besides, as we’ve established, there’s absolutely no connection between the match you are about to witness and whether someone brought their ‘lucky bobble hat’ along with them, or whether they remembered to give the cat an extra spoonful of food before setting out for the game. It just feels like there might be! According to some recent research, there has been an overall decline in superstitious rituals and match-related beliefs among professional footballers over the last 25 years. Unsurprisingly, this has accompanied the increasing use of proper sports psychology in the dressing room and on the training field. Unlike the lurking suspicion that my attendance may make things worse, this correlation makes perfect sense. It’s been long established that what human beings think will or will not happen does indeed play a role in what actually happens, because appropriate levels of confidence (not too much, not too little) play a massive part in sporting achievement, alongside technical skill, tactics, team awareness and the rest of it. Similarly, though crowds can’t win games on their own, they can encourage or dissuade players at critical moments on the pitch – though a way of accurately measuring, quantifying and applying all of that has not yet been found. If and when it is, and ‘crowd-zone’ computer stats are studied as eagerly as ‘pro-zone’ ones by those who can afford them, you can expect stewards to be given the unenviable task of muzzling some negative mega-mouth three rows in front of you, because he or she (most likely he) has just been calculated to have played an 0.0027 per cent role in your centre forward’s hopeless miss last week – rather than because, say, his creative choice of expletives has caused a delicate descendant of the Anglo-Saxons to blush. Hmmnn… Nope, I don’t think it’s going to happen either. And if it did, it wouldn’t change that much. Football is and always will be about human foibles, both on and off the pitch. If goal-line technology is finally introduced into the upper echelons of the game, it won’t stop managers and officials arguing. It’ll just give them something else to argue about. As for today’s game against the Blue Toon. Well, let’s hope that any luck going spare heads in the Sons’ direction. Three points please, lads! What the Sun newspaper has dubbed 'The Hand of Frog' incident looks set to rumble on. Thierry Henry gave a pretty fulsome apology for the double-handball that, unsighted by the match officials, unjustly sent France through to the 2010 World Cup Finals this week, at the expense of the Republic of Ireland. I was watching the game in my local pub, and unsurprisingly everyone was pretty appalled. Only the bitter and twisted Roy Keane seems to have written the episode off as unworthy of concern. Both Henry and his former manager and fellow Frenchman Arsene Wenger agree that a replay would be appropriate. FIFA are unlikely to relent on this, having made it clear by deciding to seed the playoffs (something they had not previously announced) that they want to see the biggest sides qualify for South Africa in order to fill their coffers and those of their sponsors. In this context, talk of "fair play" is a hollow sham. Actually, there is a precedent here. Uzbekistan and Bahrain replayed a World Cup qualifier with FIFA sanction in 2005, after the referee encroached into the area when the Uzbeks had a first half penalty, and then gave a free kick to Bahrain. The difference is that the Henry incident concerns a wrong decision by an official, and the team who might be detrimentally effected are one of the 'big boys'. In football as in life, there's one law for the rich and one for the minnows. Meanwhile, my admiration for Henry as a player remains undimmed. But his claim that his deliberate handball was 'instinct' and that it is up to the referee to see it not him to come clean at the time will not wash. Again, I doubt that he will receive more than a two- or three-match ban and a censure. By rights he should be barred from the group stage of the World Cup finals. A just punishment would be in his interests to, as this incident should not besmirch an otherwise deserved reputation for beautiful football and fairness. First published in Sons View, 14 November 2009, for a special memorial match for Gordon Lennon. 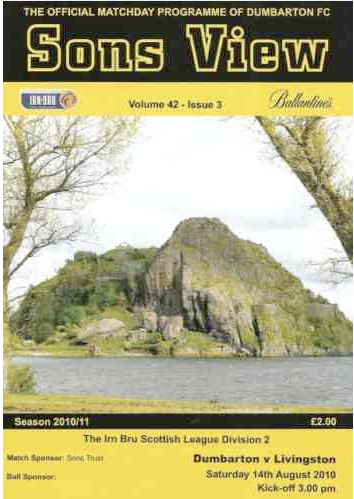 “In this obsolescent society in which we live, age and tradition are to be dearly cherished”, writes Jim McAllister in his fine one volume history of Dumbarton FC. How right he is. And here is another significant day in the life of our small but distinguished Club. We are taking time out from our league schedule, and from the many activities involved in sustaining a modern football team, in order to remember with gratitude and pride the contribution of Gordon Lennon – who will go down in the annals as a Sons legend. Memories are inevitably a blend of the happy and the sad, the joyful and the poignant. Today is a powerful example of that, but with the emphasis firmly on celebration – which is what Guido himself, full of life, would have wanted. Over the past weeks many words have been spoken and more than a few tears shed over the way Sons’ captain for the showcase 2008-9 season was tragically taken from us. For those closest him, there remains a gap that can never be filled. But this gap is not a void. Far from it. As time moves on, so do our recollections. This afternoon’s game may be a memorial, but it is a forward-looking one, dedicated to the energy that animated Gordon and made him a special person, as well as a committed footballer. 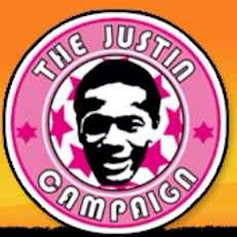 It is also a chance to recall the happiness he brought to us, not least on the field. Much of what Guido embodied, and how he deserves to be remembered, is summed up in the picture that adorns the cover of Sons View this term. It captures his moment of sheer, unalloyed joy in lifting the Scottish Football League Third Division Championship trophy in front of 1,343 people at Annan Athletic on 9 May 2009. Like many of you, I was there. That day will stay with those who made the trip for the rest of our lives. Indeed, it was a week of euphoria, with the extraordinary six-goal victory over Elgin at the Rock the Saturday before all but ensuring a title-winning day on the borders. As someone commented, it was theoretically possible for Sons to lose a 17-goal advantage in 90 minutes, but the outcome would have been one of the biggest legal investigations in Scottish football history! That trip to Annan was therefore made in expectation, not just hope, and Gordon Lennon’s delight, shared generously with fans young and old as the celebrations spread onto the pitch at the end of a fitting 3-1 victory, was a key part of what made the afternoon, and the man himself, irreplaceable. Of course it would not have been possible without the equal generosity of Annan Athletic, who enabled our party rather than spoiling it (as happens in the meaner rivalries of football). Similarly, for today, the Dumbarton Champions Select comprising players who won the third division championship are giving of their time and effort along with a Gordon Lennon Select made up of players Guido knew and worked with at other clubs like Harmony Row, Albion Rovers, Stenhousemuir and Partick Thistle. In moments like this, human solidarity is seen to be the essence of this beautiful game of ours. There’s fierce competition in football, to be sure. But that would not be fulfilling if it wasn’t for the other side of the pitch – the one where ‘sport’ means not just athletic and technical prowess, but also the capacity to grow as people. Liverpool managerial legend Bill Shankly, as proud a Scot as you will find, is widely credited with having once said on a TV show that “football isn’t a matter of life and death… it’s more important than that.” Those were not his actual words, and he tried on several occasions to set the record straight – because he understood, as do all who remember Gordon Lennon, that they are not true. Nevertheless, football can and does reflect for us what is wonderful about life, as well as what is most difficult about it. And what is wonderful is that it brings us together and gives us a glimpse of something extraordinary in the midst of the mundane. That’s what remembrance does, too. To re-member well is to experience a ‘joining together’ across the normal boundaries that separate us; to generate a spirit that goes beyond what divides, and instead enables us to overcome enmity. Gordon Lennon was ‘just a man’ and football is ‘just a game’. But what a man, what a game… and what a Club!